Recent Research in Science and Technology is committed to promote Open Access. The articles published in Recent Research in Science and Technology are freely available to the public through online medium without charge to the user or his/her institution. Users are allowed to read, download, copy, distribute, print, search, or link to the full texts of the articles, or use them for any other lawful purpose, without asking prior permission from the publisher or the author. This is in accordance with the BOAI definition of open access. The Recent Research in Science and Technology is operated on a continuous publishing model. 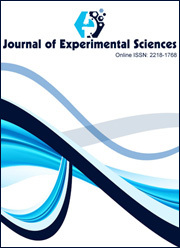 Recent Research in Science and Technology provides immediate open access to its content, soon after final proof corrections from the author (no waiting periods for issue compilation). If the pdf full paper is not available (in the case of conference abstracts) sufficient link will be provided to contact the authors for further information.